With every new year comes an avalanche of honors and awards, presented to businesses in every industry from every walk of life. We don’t have any hard data on this, but we figure all the plaques and trophies, laid end to end, would stretch clear across the country. It would take until next year to read them all. One of them, however, caught our eye. E.E. 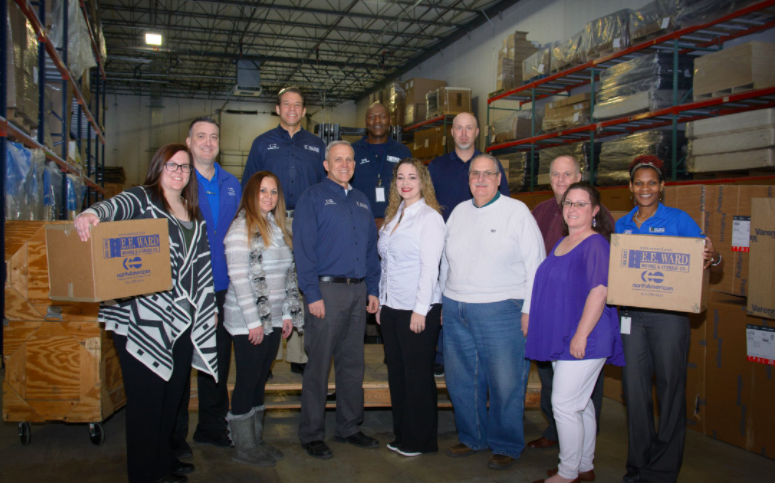 Ward, a 136-year-old moving company operating out of Columbus, Ohio, was recently awarded the Minority Business Enterprise (MBE) Supplier of the Year Award (Class II) by the Ohio Minority Supplier Development Council (OMSDC). Touted as the nation’s oldest African-American-owned business, E.E. Ward was established way back in 1881 when there were only 38 US States and Billy the Kid was still robbing banks. In accepting the award, company co-owner Dominique Brooks pointed to their pride in having survived the Great Depression, two world wars and twenty-six presidential terms. An impressive run, for sure. But longevity is not their only strong suit. Equally admirable and worth highlighting is their list of 2017 achievements, which are decorated with their deep and varied community involvement, then capped off with the abovementioned award, Take a quick look at E.E. Ward’s year right here. Not bad, right? But guess what? For all their history and their accomplishments, at the core, they’re still a moving company – just like all of us. A moving company striving to for excellence, in their work and their community. Someone once said of Yosemite Valley: “The beauty of this place will be its demise.” The same may soon prove true for the Rocky Mountain state of Colorado. 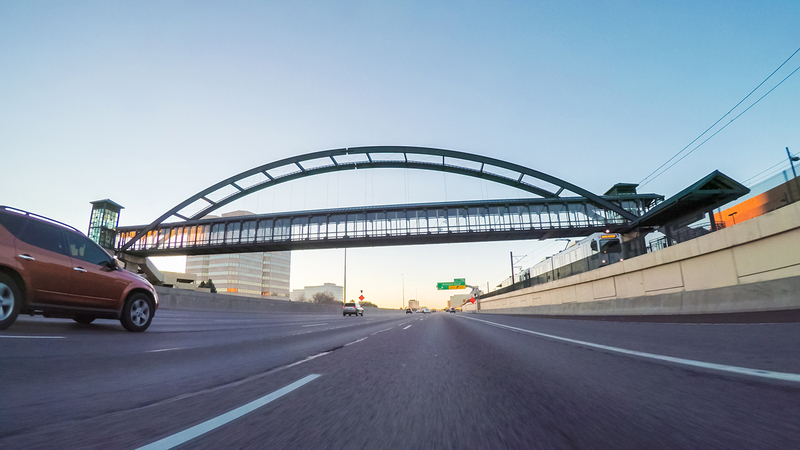 Most van lines won’t be coming out with their 2017 migration numbers for another month, but this Denver Post analysis of 2016 figures from the U.S. Census Bureau paints an unsure picture of the Mile High’s future growth. 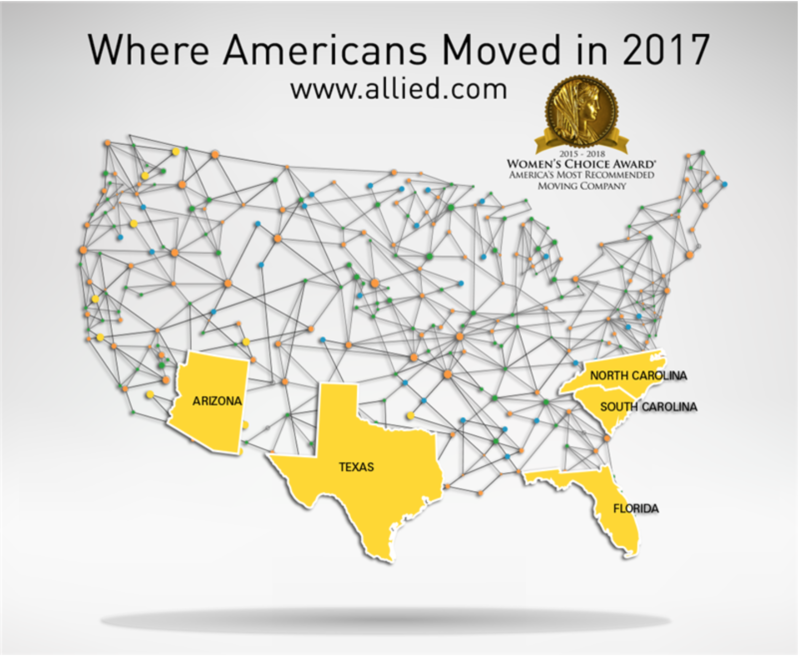 And it may be an emerging trend in where people are moving to and from. It shouldn’t be too hard to see the dynamic at work here. A place like Colorado has all the makings of a great setting for a new life. Slowly, then quickly, the word gets around about how wonderful (and cheap, and peaceful and friendly etc.) this place is, and soon it’s not only popular, but trendy to move there. With such a set of circumstances, it almost seems inevitable that you’d end up with what Colorado, specifically Denver, is now experiencing. 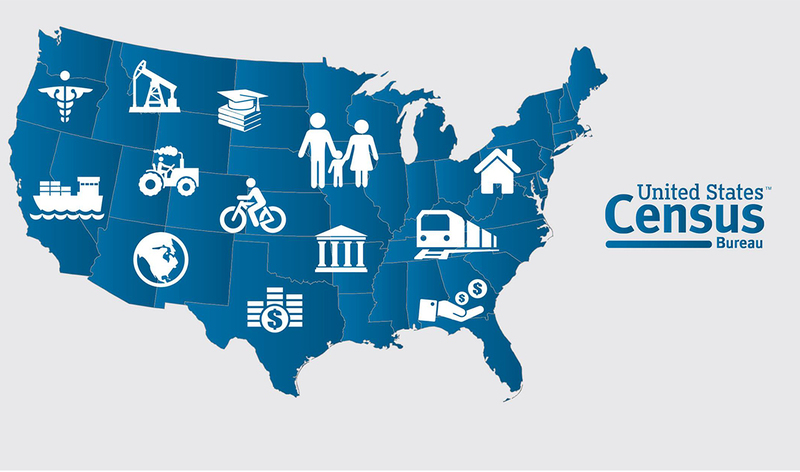 More people means more traffic; an increased demand for housing pushes up home costs and rent levels; and a larger workforce leads to a shift toward lower wages across the employment landscape. 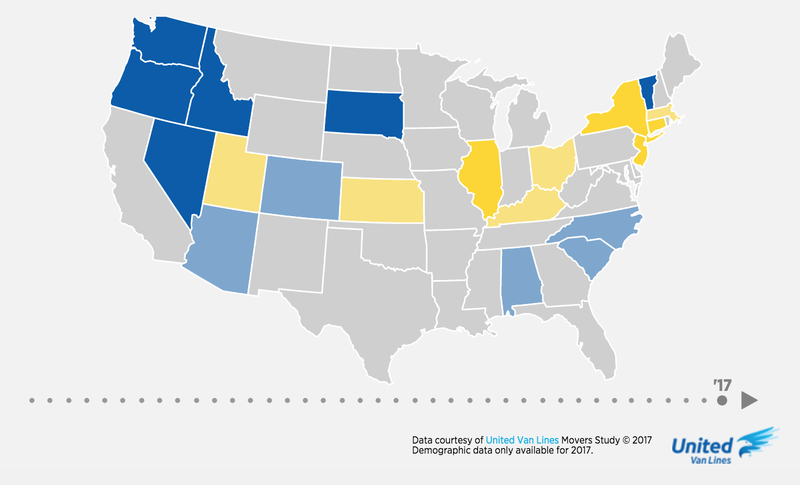 So what about states that have been at the top of the immigration charts in recent years? 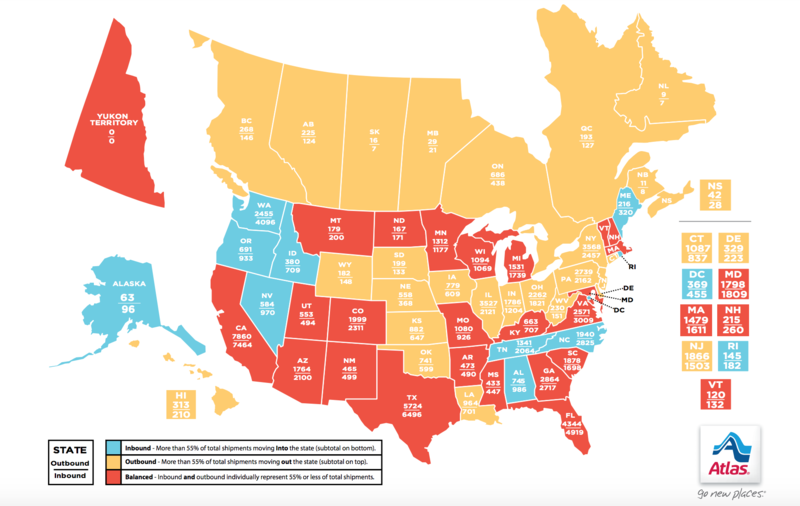 Last year we talked about the red-hot housing market in Portland, Oregon. At the time, there seemed to be no slow-down in sight. But how much air can you blow into a balloon before it bursts? The numbers we get from the van lines next month might give us a clue. 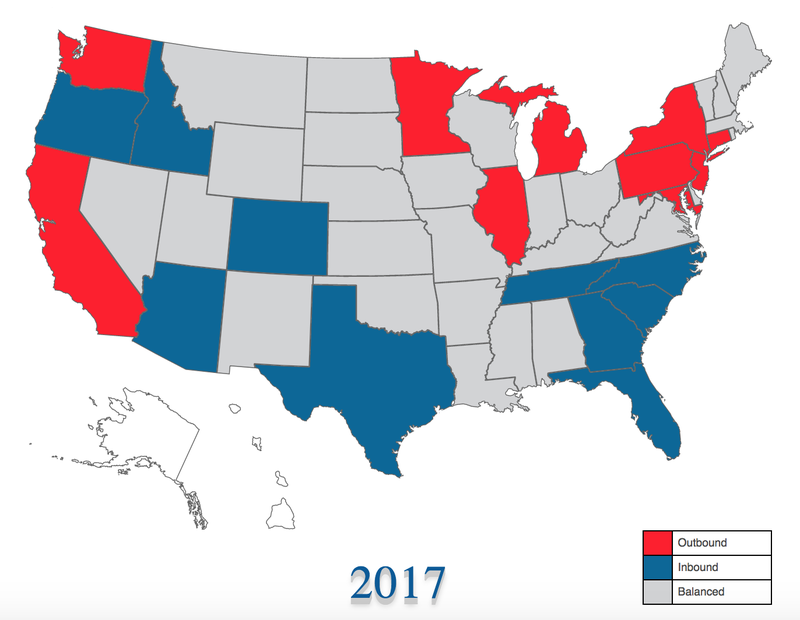 It’s not easy to just drop what you’re doing and drive to another part of the country. It’s even harder when you’re a mover in the last days of the busiest season of the year. But when disaster strikes, people find a way to move. And movers find a way to help. Thousands and thousands of people all across the country have dropped what they were doing to give something – anything – to the victims of Hurricane Harvey. Among the most busy have been our storage and moving colleagues. Here we highlight some of their efforts and how they were able to get it done. Greg Micklos of Pensacola, FL is no stranger to hurricanes. As a resident of North Carolina, he lived through a few of them. 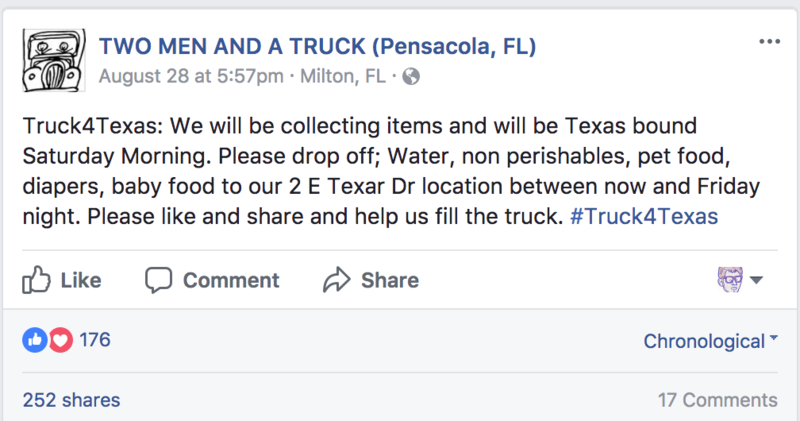 So when the owner of Pensacola’s Two Men and a Truck franchise saw what was happening in Southeast Texas, he knew he had to help. 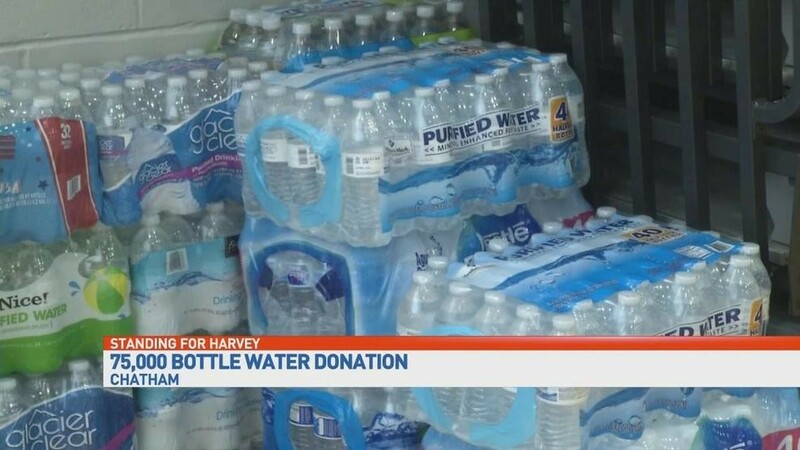 “We’re working with a lot of different organizations,” he told the Pensacola News Journal, working to fill trucks to take to Texas. One of those organizations is a school called All American Twirlers run by Jana Williamson, who in 2004 lost her home, her car and everything else she owned when Hurricane Ivan swept through. Micklos’s drivers, meanwhile, have been volunteering to drive to Texas on their own time – an admirably selfless move when you consider the slow season will soon be upon us and these weeks are the last window of opportunity to cash in on the peak summer season. 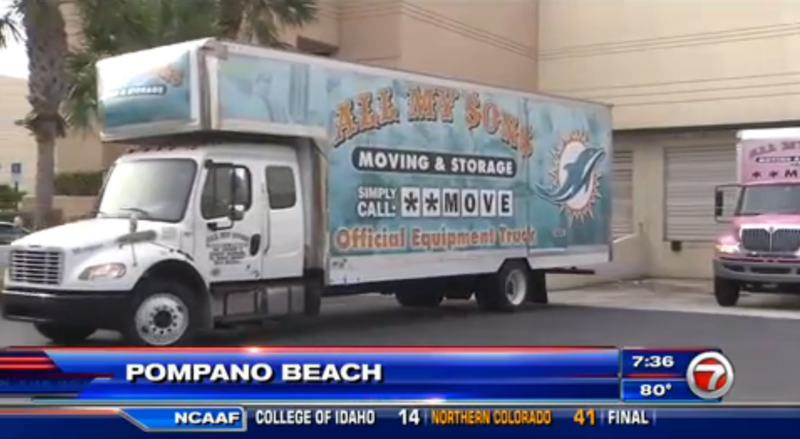 Further down in Florida, All My Sons Moving & Storage is working with the Miami Dolphins, with three trucks loaded up and heading for their Gulf Coast neighbors. All My Sons already had a working relationship in place, so they were able to quickly capitalize on the opportunity to help out. A good lesson to you out there who aren’t already reaching out to community organizations. But you don’t have to have buddies in the big leagues to lend a hand. Up the Atlantic coast, the minor league baseball team in Richmond, VA called the Flying Squirrels set up a collection drive at a recent game. And who is hauling all those donations down to Houston? The hometown Hilldrup Moving & Storage Company. The Flying Squirrels may be the headline grabbers here, but it doesn’t matter. What matters is collecting whatever you can and getting it to the people who need it. If it helps to hook up with a notable name, go for it. 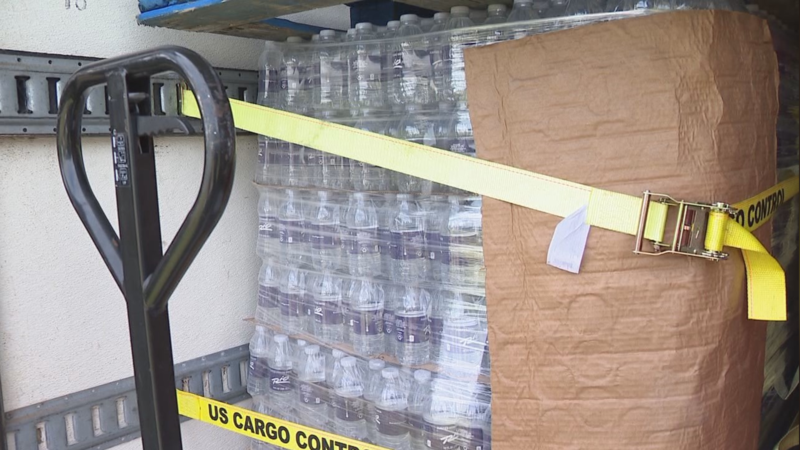 In the course of helping out, they ran into a bit of trouble themselves; First, when they weren’t able to unload their truck at their designated drop-off location in Louisiana, then later finding themselves in need of food and gas with everything around them closed or shut down thanks to Harvey. It’s quite a story. Check out the All That Matters Facebook page to listen to Ms. Shay recount her experiences while she gives thanks to all the many people who helped her and her crew along the way. Clearly, her’s was not just a matter of driving somewhere, dropping stuff off and driving home. Not bad for a couple of hungry men. Naturally, there are stories like these from all over the country. Some of them might even involve our HireAHelper community. So if any of you have a story to tell about how you were able to help out the victims of Hurricane Harvey, let us know! We’d all love to hear it. 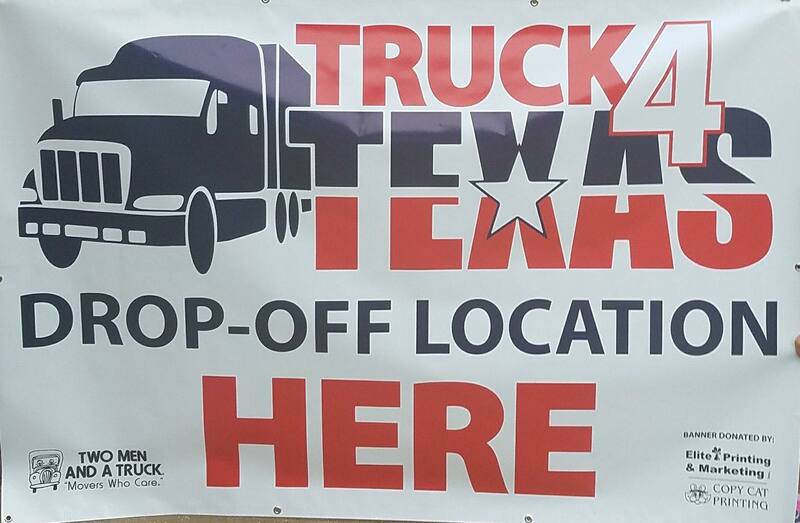 And if you’re looking for a way – or another way – to help, check out this list by the American Logistics Aid Network. Or go here and tell them where you are and what your company can do. If you have some info to share about how those of us in other parts of the country can pitch in, please share! Because even as the flood waters recede, the victims of Harvey will continue to need help.